Kolkata: Fire insurance premiums for healthcare facilities across India could go up significantly following last Friday’s fire at Kolkata’s Amri Hospital, which killed at least 90 people. Hospitals found deficient could be put under the high-risk category along with the likes of cotton mills and plastic factories. Commercial establishments put under the high-risk category have to pay a premium of up to ₹ 3 for every ₹ 1,000 of insurance cover, whereas hospitals currently pay ₹ 1.80 on average. Hospitals found deficient in coping with a potential fire hazard will be asked to improve infrastructure within a definite timeframe, and if they fail to do so, their insurance cover could be terminated, said N.S.R. Chandraprasad, chairman and managing director of state-owned National Insurance Co. Ltd (NIC). It appears insurers assess risks through inspection only when the cover offered is big, said J. Hari Narayan, chairman, Insurance Regulatory and Development Authority. Otherwise, they rely entirely on certificates and reports of local civic bodies, he added. For instance, Amri Hospital had obtained a ₹ 55 crore cover against fire from NIC. 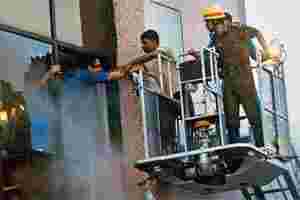 It is only after the accident occurred that the insurer has been examining fire safety arrangements at the hospital, according to Chandraprasad. As a rule, NIC would assess safety arrangements at a hospital through inspection by its own officers or hired surveyors only for a cover of ₹ 100 crore or more, Chandraprasad said, adding that the threshold for close scrutiny is being reduced to ₹ 50 crore. More than one-tenth of NIC’s premium income comes from fire policies. In fiscal 2011, for instance, it received around ₹ 700 crore of premium for fire policies out of its total premium income of ₹ 6,245 crore. “We will, from now on, definitely give more importance to self-inspection as a part of our underwriting process," said G. Srinivasan, chairman and managing director of United India Insurance Co. Ltd, another public sector insurer. In addition to the civil engineering aspects of fire safety, insurers are likely to assess preparedness of staff members in responding to fire while determining revised premium, said an NIC official, who did not want to be named. After the dismantling of administered tariffs in 2007, insurers have “almost stopped" scrutinizing fire safety arrangements at commercial establishments for “fear of losing business to competitors", according to Yogesh Lohiya, chairman and managing director of state-owned reinsurance firm, General Insurance Corp. of India. Largely on account of competition, general insurance premium across categories has declined by 80% on average from 2007 when administered tariffs were withdrawn. Before administered tariffs were removed, insurers would offer discounts on premium for compliance with fire safety standards. This would encourage a higher level of compliance with safety benchmarks, according to NIC’s Chandraprasad, but there are no such incentives for commercial establishments now.